When you bring your boat into YACHTONUS, its like mooring in a digital harbour. You can manage the maintenance of your boat on-line and invite providers or other users to assist you in this. Once you register (for free), you define the configuration of your boat including all the components present on board and assess and record the maintenance state of each item. You can review the highest rated advice for each item on board, raise questions and get answers from fellow boat owners and specialists, and get access to the products or services that you need. Whether you want to do the maintenance yourself or get a specialist to help you, this site will help you acquire the knowledge you need across all the diffent aspects of boat ownership. Basic membership is free. Your data is maintained safely and securely and you will not be harassed by providers trying to sell you services - you can view advice and approach a vendor as you see fit. YACHTONUS is oriented around the needs of a boat owner. Service providers, equipment vendors, boat manufacturers and boating or sailing enthusiasts are most welcome and may share advice and promote specific services in categories in a focused way. Register using the "My Profile" registration link. Check the box to accept the terms of usage and leave the box for suppliers unchecked. The box to prevent mails should normally be left unchecked! If you do check this box then no mails will be sent to you - this limits the normal operation of digital keys, maintenance reminders etc (YACHTONUS does not generate SPAM). Once you click the Register button, a password will be mailed to you. Log in, change your password and then identify the boat (or boats) that you own. You can review your profile and change your password, preferred language and mail acceptance options. Register using the "My Profile" registration link and make sure to check the box marked supplier, accept the terms of usage and check the box to receive mails - otherwise you cannot issue digital keys to your customers! Once you are registered you can log in and change your password. Go to "My Profile" and click on the button at the left for suppliers. If you are the first representative of your company, then you will set up the company profile and act as the lead representative. Enter a codeword for other representatives of your company to use when registering. Any user who has registered with your company will be shown on the company profile overview. When you use YACHTONUS you now act as a representative of your company. The keys you have are for the company and can be issued by any representative on behalf of the company. Suppliers can issue a key to a boat owner to access that owner's boat - other YACHTONUS users are only able to issue keys for boats that they own. On "My Boat" you incrementally build the configuration of a boat by adding components from a selection list until the specification is complete - the configuration is saved at each stage so you can do this over time. If your internet connection is broken or your computer has a failure, the boat data is not lost - the only data that could be lost would be the updates to a specific component, sub component or activity that you are editing on your screen. If you want to delete a component you have to do this explicitly and confirm the delete. YACHTONUS will store the data until you delete it. A boat has three levels of definition - categories, components and sub-components - which are represented by the three level box diagram in the site. When adding components to a boat you firstly indicate the category (first level) to work in and then add the component (second level). For each component you can specify the make, type, usage and state as it is on your boat today. You can zoom in to work on a specific category by clicking on the zoom symbol beside this category. Sub components (third level) can be added to a component - these have different attributes depending on the nature of the sub component - for example shrouds have a diameter and length, whereas oil has a type and quantity! The variable parameters of sub components have not been translated from English. Maintenance tasks are always related to a component of the boat. To add a maintenance task, simply click the button to add task and then select the component to add the task to. All maintenance tasks can be viewed in the maintenance view and sorted by date, priority, cost or status of the underlying tasks. You can switch between the configuration view and the maintenance view by pressing the buttons at the left of the screen! When viewing the configuration, you can expand or collapse elements of each component to show extra description text (as represented by the ABC symbol), sub-components, and maintenance activities related to this component. Just click on the "+" and "-" symbols in the boxes under the headings. You can see the action for a button by hovering with the mouse over the button (except on some tablet computers). The update options for sub components and activities will invite you to select which item you want to update - this must be displayed on the screen in order for it to be selected which may require you to zoom out. Suppliers can offer a managed boat service by setting up a profile for a customer's boat as described above. The supplier simply issues a key for this boat to the actual owner to enable him to access the boat (see keys later). The owner will receive the key from the named and identified supplier in the same way as a key issued for any other user's boat. The "Share" menu enables a user to share and compare boat profiles with another user. This works using digital keys. A digital key is a type of key that gives access to a named boat. There are two parties involved with each key - the boat owner and the "viewer" who is another user that wishes to access the boat. A boat owner can issue a key for their boat to either another named user in YACHTONUS or to an external email address. If the external address corresponds to an existing user, the owner is prompted with that user name. The recipient user will receive an email notification and can find the key in their waiting list in the Share menu. If the recipient is not yet registered in YACHTONUS, then they will receive an email inviting them to join YACHTONUS and view the boat. The addressee will firstly have to register using the email address given in the key. The key will be accessible to them when they log in and go to the Share menu. The recipient of a key must accept a key for the key to take effect. Either the boat owner or the viewer can subsequently "downgrade" the key in steps to limit or terminate its operation. 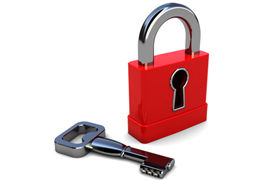 A key is never deleted - it can be made non operational and will always be accounted for in the overview of keys. Transfers the boat from one user to another user when the key is accepted. Ensures that only the owner and viewer can change the boat configuration. This may force a downgrade of other keys in operation in order to become effective! This only gives viewing access to the viewer for the boat, the viewer cannot change the configuration. If a Read key is downgraded, it becomes inactive. The viewer can no longer view the boat! The downgrade operation can be performed by either the owner or the viewer at any time and includes a confirmation step before the downgrade is implemented. This has the effect of downgrading the key to the next level down the list. If a Read Key is downgraded then it becomes Inactive. A Transfer Key will only implement the transfer upon acceptance by the recipient. After acceptance, the Transfer key has no function until it is downgraded after which it becomes a change key (not Exclusive). An exclusive or change key cannot be issued to a boat with an exclusive key in force. The owner or viewer of the exclusive key must firstly downgrade that key before another change or exclusive key can be issued for the same boat. Note that all keys work for the entire boat configuration. At a later stage, the capability will be added to issue keys for a single category. A key remains effective for a year from the date it is issued after which it becomes Inactive. The users of a key will be prompted to renew the key in time if required. Keys owned by a user but not issued remain available for use indefinitely. To use a key, simply click on the desired key in the "Share - Access boat via key" section. This opens the boat in the boat configuration section, applying the access priviledges of the key. In the "Knowledge" section you can access specific knowledge for each area or component on your boat - and see how this knowledge is rated. You can also share your views with others! Simply enter your view on a subject and - and see how your advice gets rated. You can also view the highest rated advice per category and search for advice on a specified key word or phrase. The Questions and Answers, and Knowledge that is presented depends upon the language you have in force. When you enter a question, it assumes you are writing in the language you have selected. You will only see information in that language. Switch to other languages as you wish! YACHTONUS applies an inactivity timer of one hour when you are logged in. This will break the connection to avoid any other person using your account when you are away from your screen for a long time or forget to log out. When entering data, use the point character (".") 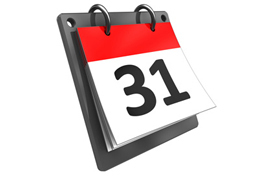 for decimal (not comma ",") and remember to specify a day within a month when indicating dates. If you experience any technical problems, make a screen shot with print screen and mail this to us at yachtonus@yachtonus.com. Finally, on the "Contact us" page you can send us feedback (whether or not you have registered) - we really do appreciate all feedback and this steers the further development of the site. 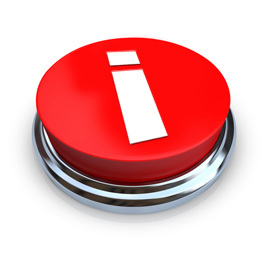 We also assume that as more boats are added, components or sub components will be required that are missing - please indicate this on the contact page and we will try to expand the database to accomodate any reasonable request. We aim to support the full configuration of most boats! 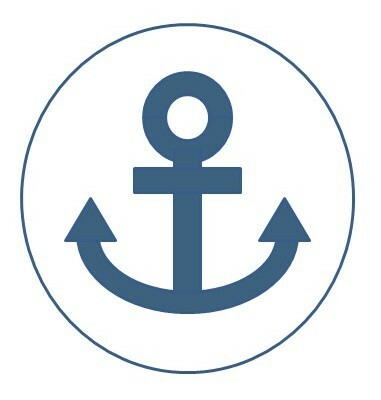 We invite you to sign up now and join the YACHTONUS community!